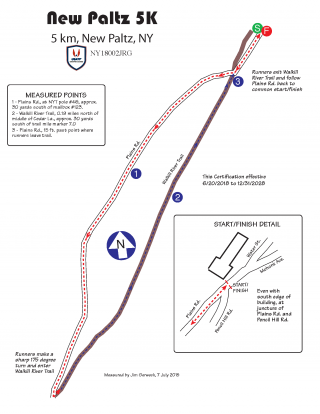 This scenic course is USATF Certified and is exactly 5 kilometers/3.1 miles long. It starts at the Water Street Market in New Paltz. Runners and walkers will head south on Water Street, bear right onto Plains Road and follow it until it ends. 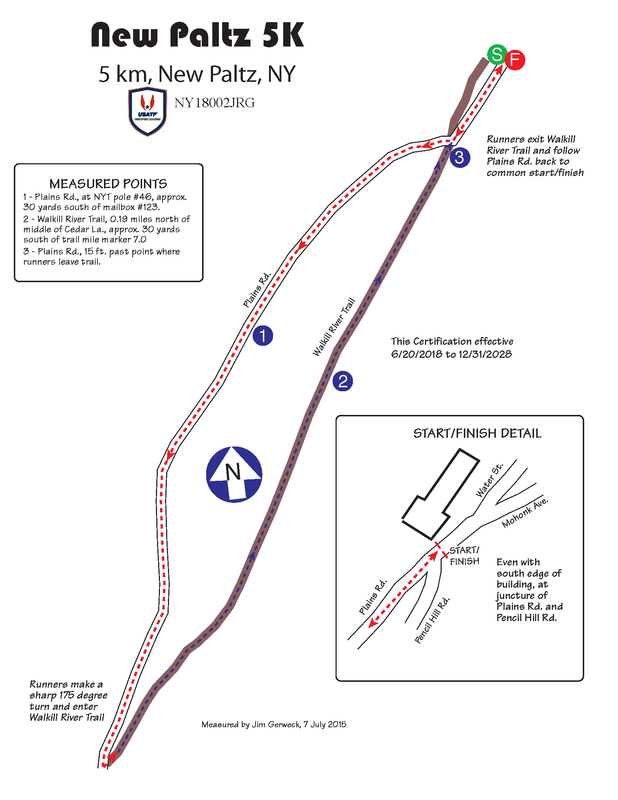 Then make a sharp left onto the Wallkill Valley Rail Trail and head back to the Water Street Market, this year crossing back on to Plains Road for the finish so that both start and finish line can be chip timed. The Mashed Potato Fun Run is approximately 1/2 mile. It starts at the Turkey Trot finish line on the rail trail across the street from the Water Street Market. Kids will run on the rail trail about 1/4 mile and turn around just before Plains Road and run back. Error: Error validating access token: Session has expired on Monday, 19-Nov-18 17:38:50 PST. The current time is Friday, 19-Apr-19 07:17:38 PDT.